Seafood Restaurant | 15,000kms of Food! When I’d heard that Pressoir D’Argent had a lobster press (and apparently there are not that many in the world), I had to check it out. What is a lobster press? It’s a heavy silver contraption that you put the cooked lobster shells into and press it (manual turning of a handle) to get all the lobstery goodness out. That aside (yes, sounds like a strange novelty! 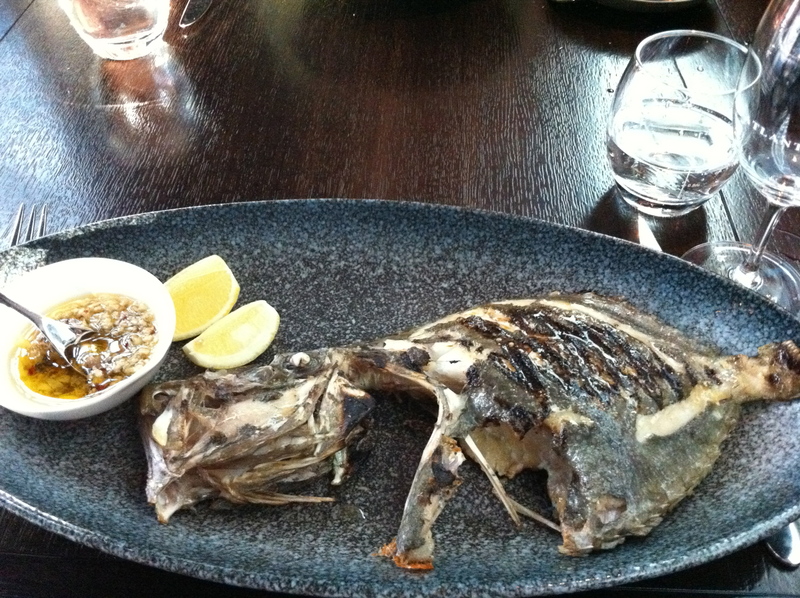 ), the restaurant was great. Hard to believe they were awarded only 1 Michelin star considering the restaurant was gorgeous, the service was impeccable and the food was some of the best I’d ever had (innovative and tasty). Upon arrival, we had a lovely glass of champagne and a few small treats including gold dusted macadamias (just a bit over the top) and salmon tartare in a crispy cone. 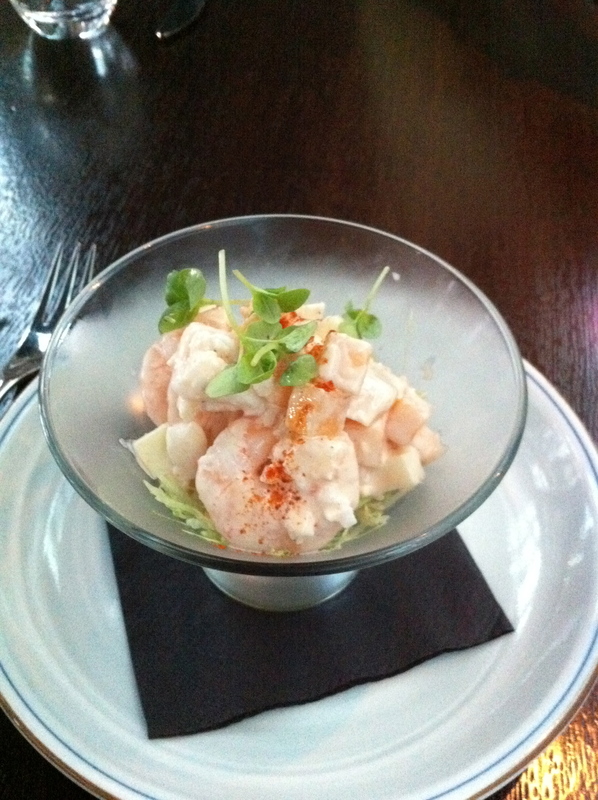 For entrees, we had what was described as scallops in foie gras and langoustines and foie gras. 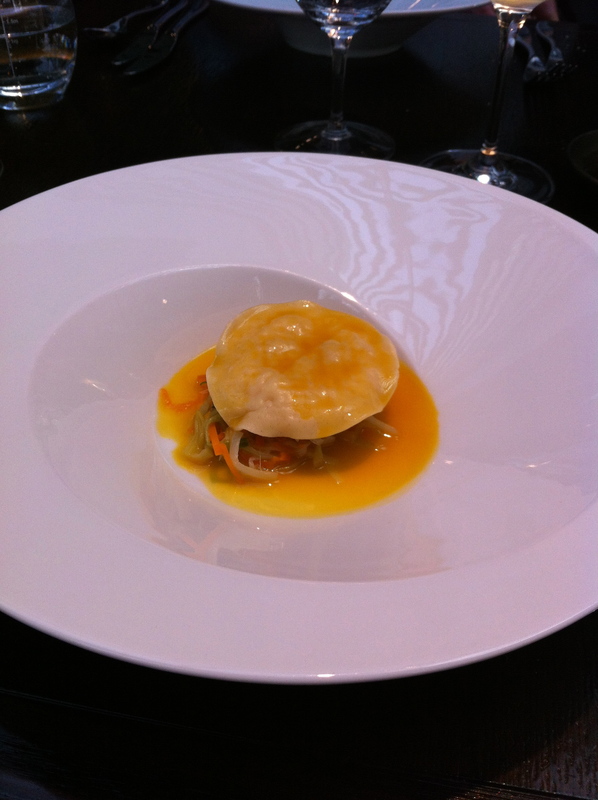 Cooked scallops were encased in a sphere of foie gras and wrapped in savoy cabbage. It’s then sat on top of a crispy piece of bread, on some tasty foam, and a green sauce. Whilst it looks a bit weird, it tasted really really good. 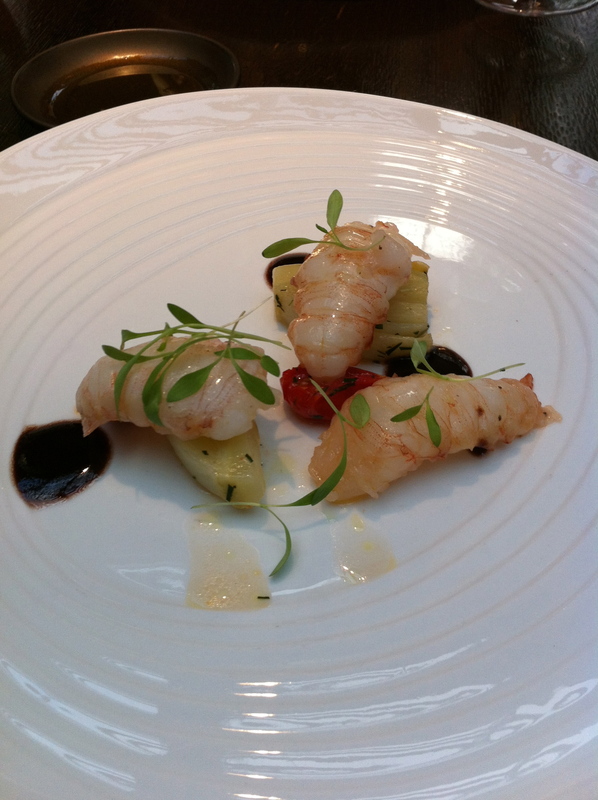 The langoustines dish consist of plump juicy langoustines, sandwiching a piece of pan fried foie gras, with foam and champagne/seafood jelly. Presentation for this was gorgeous, and it tasted fantastic. Then came the lobster. A few lives ones were presented to us for selection, and then whisked away to be poached. It all comes back out, and the lobster shells are pressed and the sauce is cooked before us. The sauce is then served with the poached lobster and a side of rice with veges (so similar looking to Chinese fried rice but didn’t taste anything like it). The pressed lobster sauce was unbelievably good. It was like the most intense buttery lobster bisque. 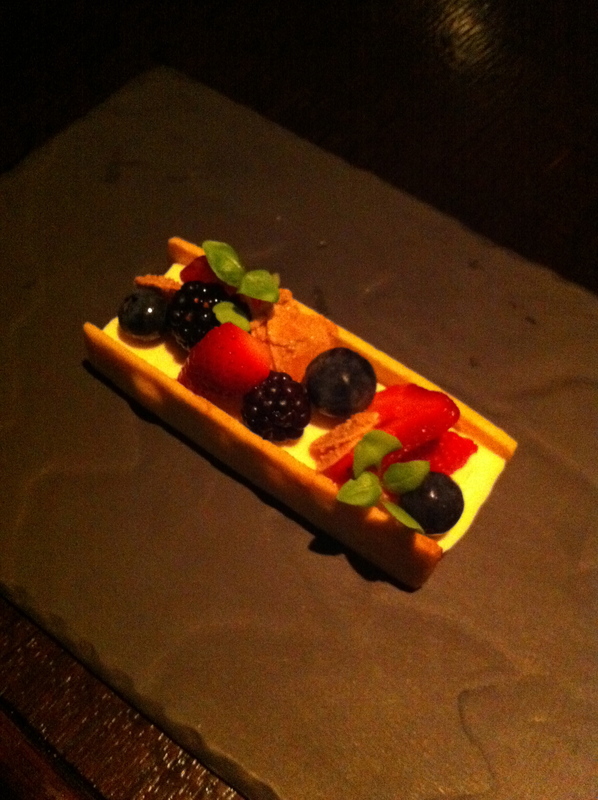 We were then given a fruity palate cleanser before moving on to dessert. For dessert, we ordered what was described as citrus and wow I was totally blown away. The plate consisted of little pieces of foam, jelly, mousse, biscuit, gelati and cream and it was perfect in every way (balance, texture, taste). Phenomenally good. To finish, we had coffee and a beautiful plate of petit fours. The sweets specialty of Bordeaux is caneles and we were also given a little box to take away. The caneles are browned on the outside and a bit chewier, but soft and stickier on the inside. Very rich consistency, and I can eat lots of them, but in very small bites! All up, fantastic dining experience. All dishes were spectacular and the service was first class. The restaurant is located in a beautiful building in the main square of Bordeaux. 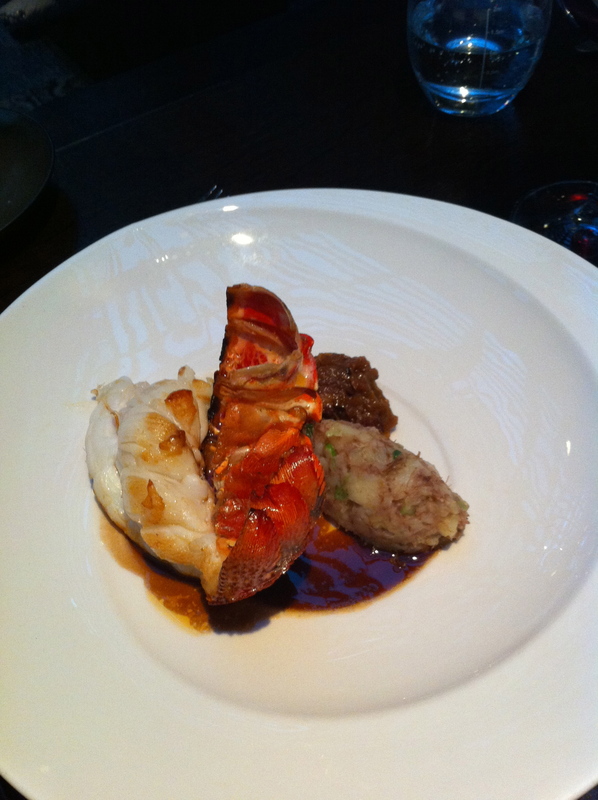 I loved the star of the dinner, the lobster, and all it’s accompaniments. 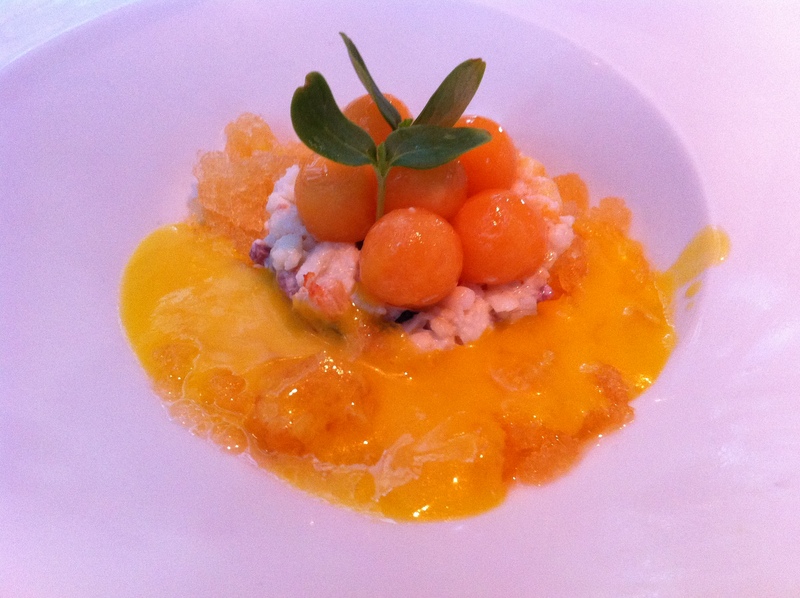 If I’m in Bordeaux again, I would re-visit to have the lobster again! For more info on the lobster press, here’s a link. The Atlantic… great seafood cocktail! Decided to take my mom to Atlantic for her birthday, as she loves Donovan’s (St Kilda) and wanted to try his new restaurant. First impressions upon walking in is that this is nothing like the casual beachside atmosphere of Donovan’s, instead we have a sophisticated Crown Casino friendly fine dining restaurant. The decor and furnishing is stunning. 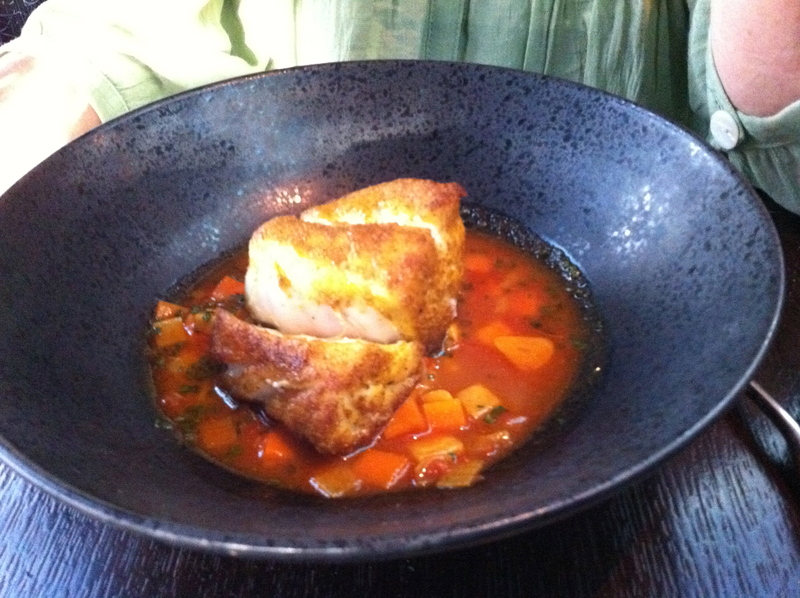 The menu changes daily, but I’m guessing that only applies to fish dishes and that the more steady dishes are seasonal. We were there mid Jan, and the food was fabulous and fresh. Note: I’m naming these dishes based on what I can remember but I’m sure they had nicer/fancier names on the menu! Started with really great strong entrees such as the “seafood cocktail with lobster, prawn, scallop” – which was totally awesome! If you’re only going to have one thing whilst there, have this! 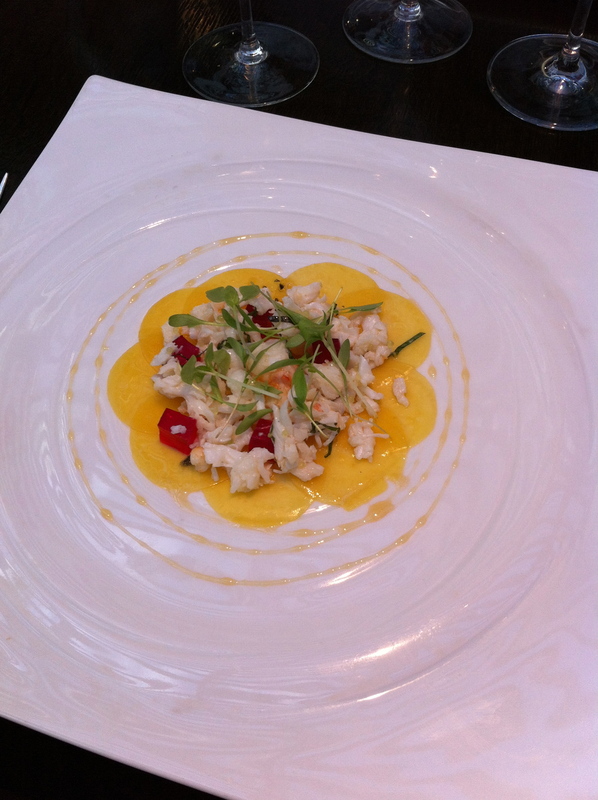 The other entree we had was a “crab and cantaloupe cold dish” which was also delicious. The other dishes were good. My only criticism of the meal is that the mains are huge! And given they are quite rich, it may be too much of a good thing. 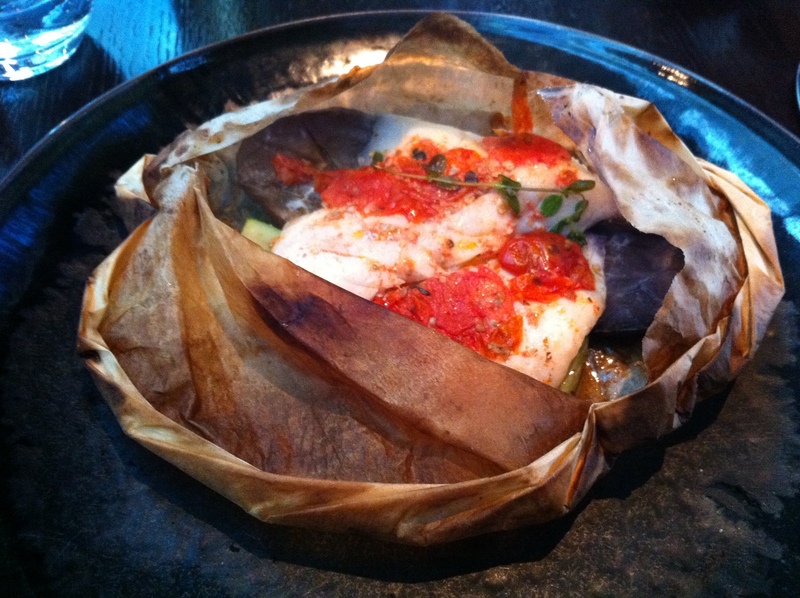 The three mains we had were grilled fresh snapper (looks scary but tasted very good and was very fresh), panfried hapuka in a seafood broth and snapper cooked with a tomato sauce in a paper bag. This was the dining experience that prompted me to go back again in the next few weeks for the 5 course crustacean celebration degustation – which turned out to be one of the best dining experiences I’ve had in awhile.